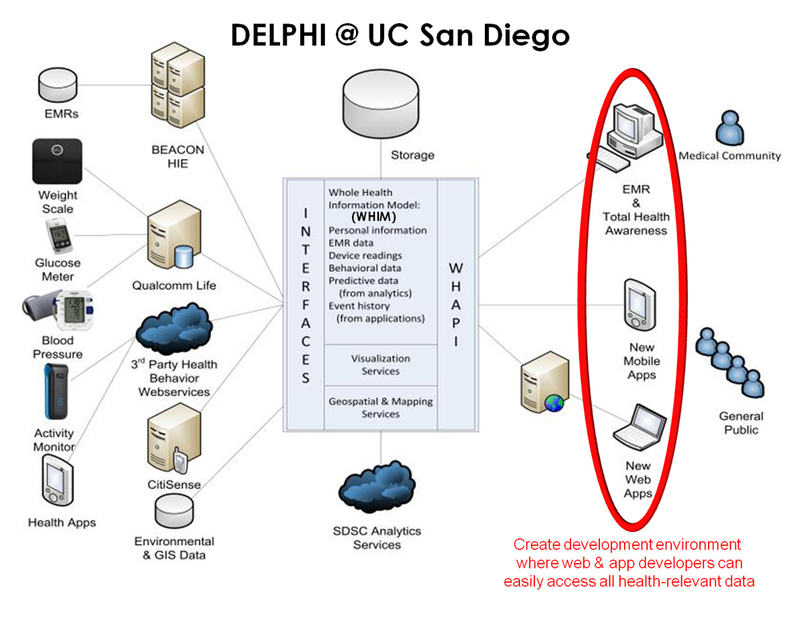 DELPHI is a platform that enables integrated access and analysis of all data relevant to health. This platform promotes a more rapid development of empowering, data-driven health apps and tools by a broad community of health-related software developers. This research vision is made possible by local partnerships and a set of several on-going research projects at UC San Diego. Fundamental advances in databases and machine learning will enable a wide community of programmers to program on top of a “live,” streaming population-scale medical dataset. 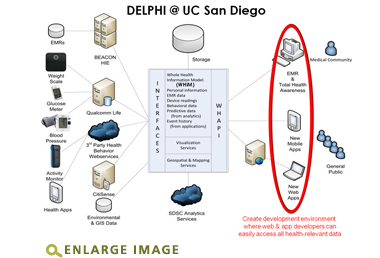 In addition, DELPHI will be demonstrated through a personal well-being and population health applications ecosystem, with three immediate beneficiaries: the San Diego Beacon Community, governmental and non-profit organizations, and Qualcomm Life’s 2net platform.